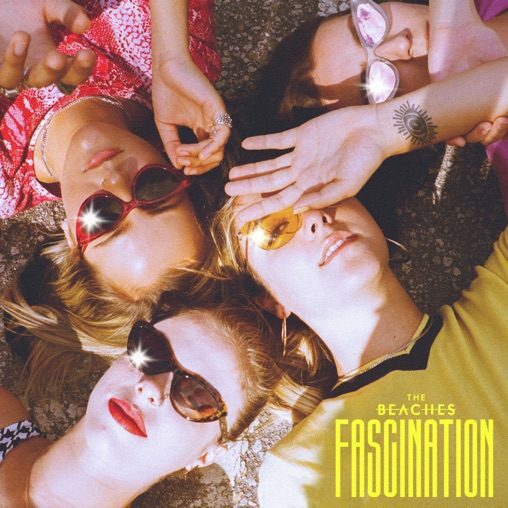 November 29, 2018 (Toronto, ON) – Juno Award winning band The Beaches release the video for their most recent single “Fascination” exclusively on Apple Music today. The music video compiles the band’s behind the scenes footage from the past year while touring throughout Canada, the United States and the United Kingdom. It pairs the girls’ sometimes humdrum touring lives with their over the top performances. These shared moments are a love letter to the road and what it’s like to be a working, touring band - the late nights, the long drives, the bad food, the hours spent in suburban parking lots and the camaraderie among the band members. Watch the music video for “Fascination” here: https://thebeaches.lnk.to/fscntn. The video will be available across all digital platforms on November 30. Released earlier this month, “Fascination” is the band’s follow up to hit tracks “Money” and “T-Shirt” off their debut studio album Late Show. A breakout track in its own right, the song is already the No. 1 most added on alternative and active rock radio charts and the second most added overall for the week of November 19. The release of “Fascination” continues a banner year for The Beaches. Following the release of their album, the band was awarded the Juno for Breakthrough Group of the Year in March. They embarked on their first national headlining tour in April, playing 16 stops across Canada. Most recently, they were nominated for “Best New Canadian Artist” at the iHeart Radio MMVA’s and performed their hit single “T-Shirt” which has been No. 1 on the Canadian rock charts for an extraordinary nine weeks. The Beaches will be wrapping up their headlining “The Late Show Tour” this December after completing a national tour with The Glorious Sons as special guests on The SOS Tour.